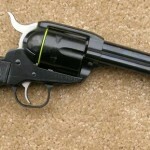 Taurus made their name making copies of Smith and Wesson’s more famous revolvers, and selling them much cheaper than Smith and Wesson ever did. 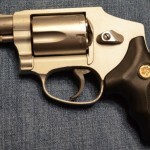 Nowadays Taurus makes their own original weapons to include both revolvers and semi autos. 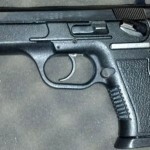 The Taurus Pt 111 is one of their smaller compact semi autos. 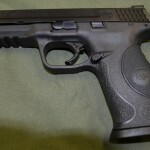 The Taurus Pt 111 is double action only striker fired pistol chambered in the 9mm Parabellum cartridge. The Pistol is a compact model that’s perfect for concealed carry. The frame is an injection polymer and comes with either a blued, stainless or titanium slide. The weapon features an external frame mounted safety that clicks onto safe and fire quite easily. The trigger is quite heavy, heavy enough that I believe you could take the safety off and feel comfortable there wouldn’t be a negligent discharge. The trigger does have quite a bit of travel as well. The large night sights are very easy to use and pick up very quickly. The grip features aggressive checkering to insure a good grip regardless of any kind of moisture on your hand. The grip is short, though, and with an average male hand, the pinky hangs off the edge. It’s a nice little budget concealed carry pistol. The weapon comes with two ten round magazines and features Taurus’ safe locking system to prevent unauthorized access to the weapon. 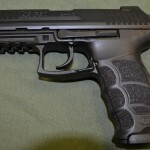 For a modern polymer frame weapon on a budget, the Taurus Pt 111 should be considered. 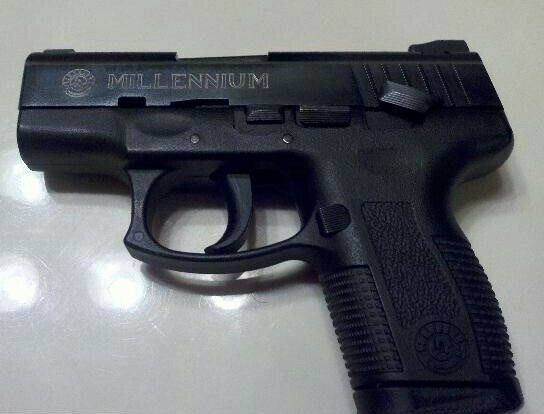 The new Taurus PT111 Millennium G2 9mm comes with 2-12rd Mags with a place for your pinky on the mag. It fits my had and my wife’s. you are correct. 2-12 round mags. 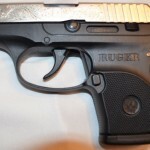 I put night sites on mine… Great for conceal carry. Have had for two years. Very reliable and accurate…. with some range time. Use mine for CCW. Works out great!